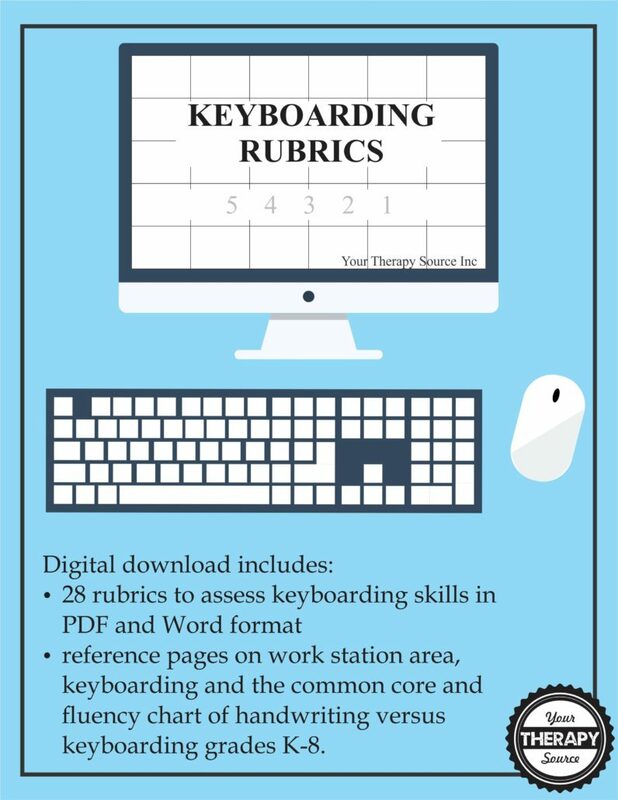 Here is a free rubric on the proper positioning for keyboarding from the Keyboard Rubrics digital download. School based occupational and physical therapists are frequently involved in evaluating positioning needs in the schools including computer stations. With more and more children spending countless hours in front of a computer screen, proper positioning is essential to prevent long term complications with posture or overuse injuries. A rubric is a scoring guide to judge performance on a specific task. A skill is broken down into different components and a numerical value is given to each component. The performance is then scored by totaling the sum of the numerical values. Rubrics are used as assessment tools to evaluate an individual’s ability to complete a task which in this case is maintaining proper positioning at the computer. 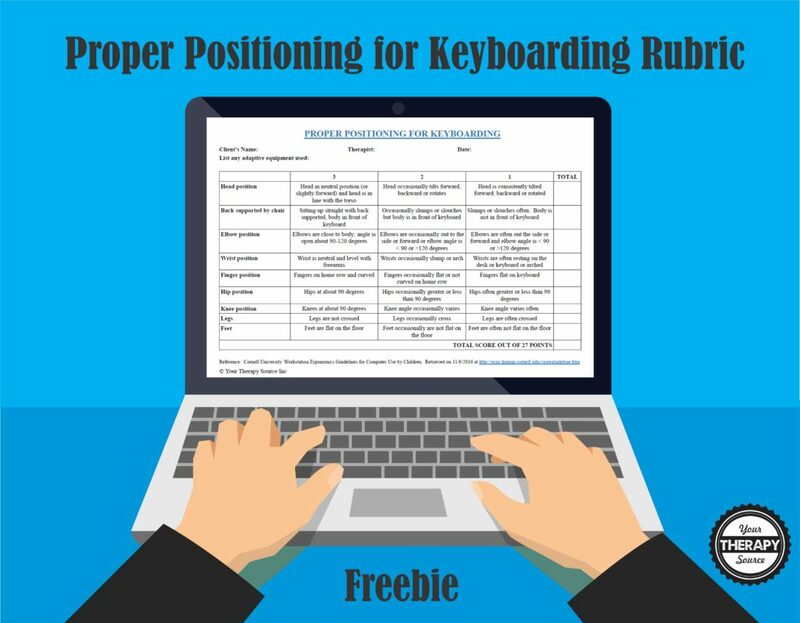 This rubric evaluates head position, back support, elbow position, wrist position, finger position, hip position, knee position, legs and feet.